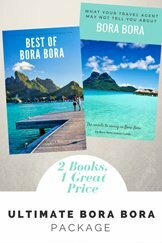 Many folk ask about how to find the best Bora Bora prices for flights, food and hotels, so we have written extensively on this topic in our easy to read eBook. 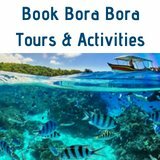 The following overview of Bora Bora hotel prices and vacation rental rates will help you calculate how much Bora Bora vacations cost and give you ideas for accommodation options that match your budget. 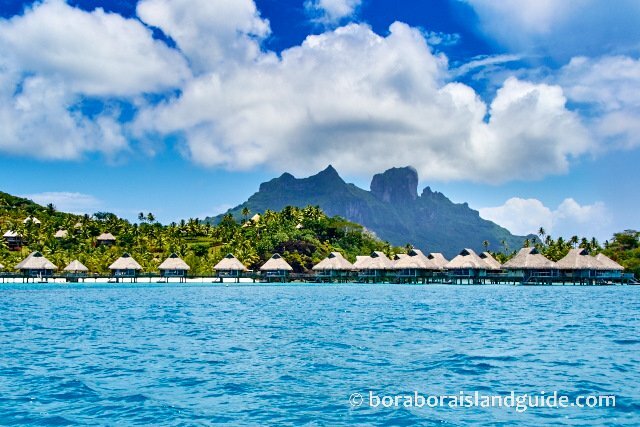 You probably think of Bora Bora as a ultra-luxury vacation spot. It can be. But the good news is that there's an array of accommodation options. 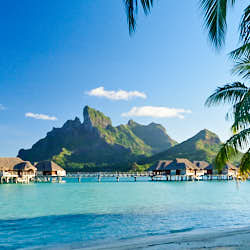 You can holiday on this beautiful island in absolute luxury or at affordable Bora Bora prices. 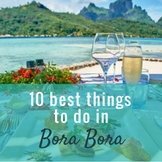 If you're wondering about the Bora Bora food costs, read about our tips for eating well in French Polynesia, while keeping food costs down. 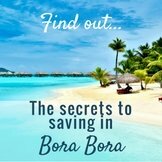 If you are concerned about costs or trying to make your vacation fit into a budget get all the best money saving secrets and top ways to save in one place. 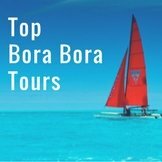 If you are coming to Bora Bora for a special occasion, we suggest staying at the best luxury resort you can, even if it means that you book the cheapest room category. 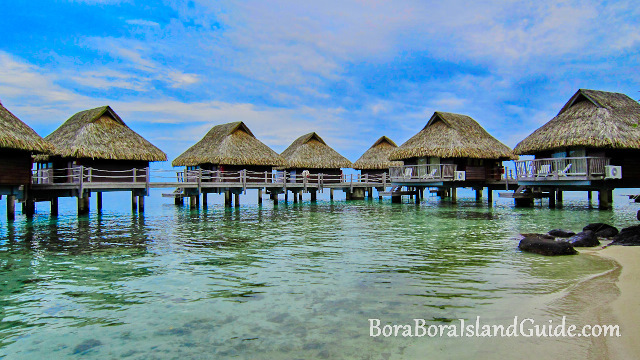 The facilities and grounds will be so beautiful, and even the cheapest rooms at a luxury Bora Bora resort are gorgeous. Can't afford an over water bungalow? It's OK. The beach bungalows are utterly romantic too! Want the best room in Bora Bora? You will get much more than a room! Want more space? Must have the best view? Fancy a private pool attached to your villa? As the features go up, so do the prices. 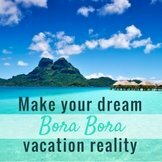 Fantasizing about holidaying like a celebrity in Bora Bora? 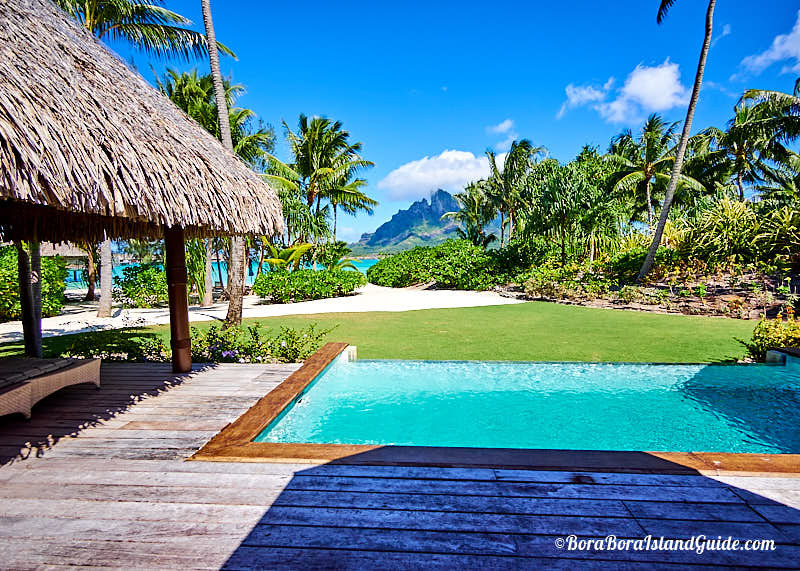 If James Cameron has booked out the private oasis of the St Regis Royal Estate, you can choose between the Kardashian's pick of a 2 story Hilton Presidential Suite or the 3 bedroom Otemanu Luxury Beachfront Villa, with private pool, at the Four Seasons Bora Bora. For this level of luxury the Bora Bora prices will start at $4000 and up (and we really mean up) per night in one of these luxury hideaways. But you don't have to be famous or particularly wealthy. 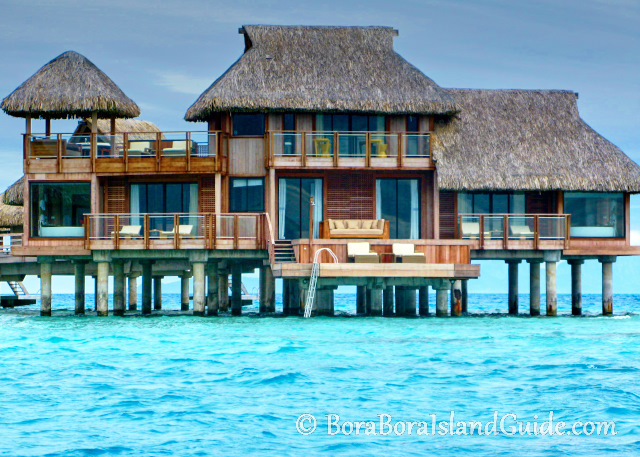 You too can come and enjoy a Bora Bora vacation in style. 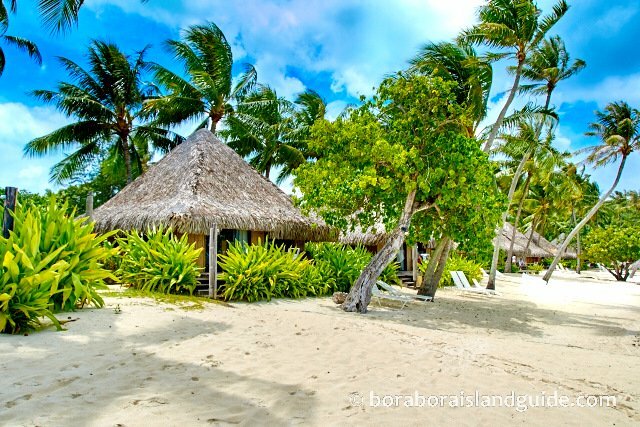 Find a beach bungalow at one of Bora Bora's luxury resorts starting from $400 per night. Want to upgrade to a standard over water bungalow? Expect to pay between $800 to $1200 a night. If you can't afford to stay the whole time in an overwater villa, spend a few nights in a beach or garden bungalow first. The most affordable resort in Bora Bora is the Sofitel Marara Beach. You can book a garden bungalow at a good price or pay a little more for a beach bungalow. 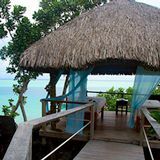 A beach bungalow stay will cost around half the amount of a over water bungalow stay and you step straight out to the white sand and blue water! For other accommodation at this pricing level, compare the Intercontinental Le Moana Bora Bora. A night in a beautiful beach bungalow there can be found for around $400. The cheapest hotel over water bungalows in Bora Bora are found at the Maitai. 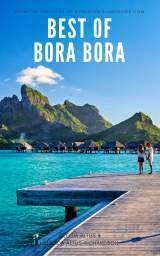 If you are looking for budget Bora Bora accommodation, or hoping to find cheap Bora Bora accommodation, you can find that too. 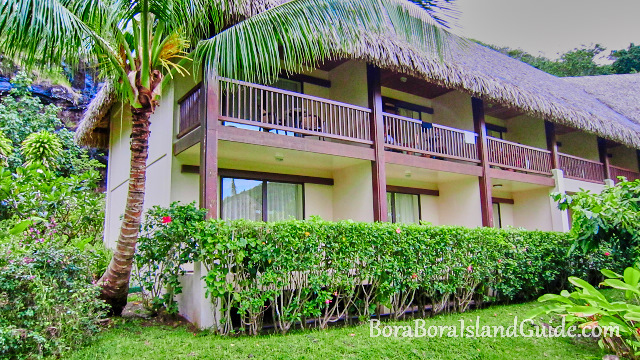 A stay in a Bora Bora pension, guest house or family hotel provides a different style of vacation to the luxury resorts. 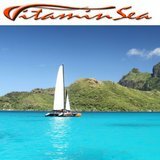 They offer comfortable, friendly Polynesian island hospitality. 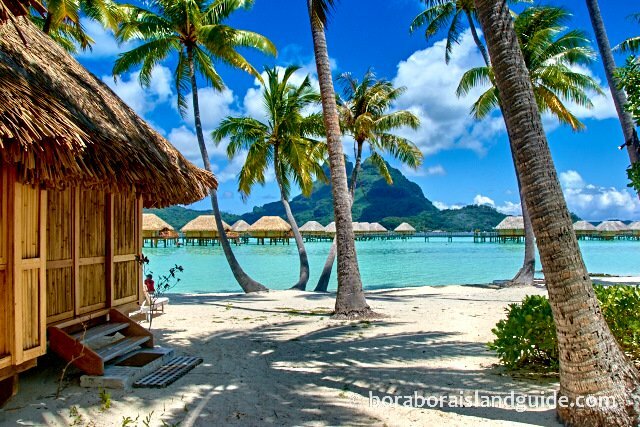 Here's what it's like staying in a Bora Bora pension. 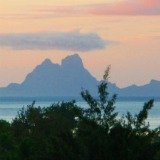 Just as Bora Bora accommodation prices can vary greatly, so can airfares to Tahiti. 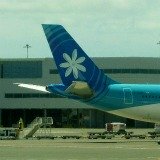 A return flight from $1000 departing from around the Pacific rim (e.g. Japan or Australia) would be considered a very good price. Leave it until last minute to book and you could pay $2000. 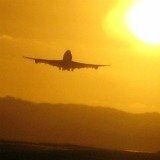 If you are flying from LA or Auckland you are lucky because airfares can be as cheap as $800. 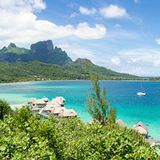 Everyone arrives on the main island of Tahiti and has an additional flight from Tahiti to Bora Bora which is around $500 return. Bora Bora food prices can be higher than on some other islands in the sun. 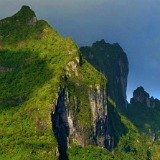 By combining these tips from experienced travelers and locals, you'll have strategies for eating well in French Polynesia, while keeping food costs down. 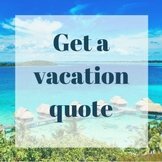 If you are looking for the best priced four or five star vacation, contact Pacific for Less. 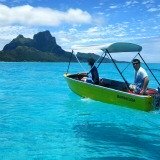 They are the Tahiti specialists we recommend for creating the best luxury packages at wholesale rates. 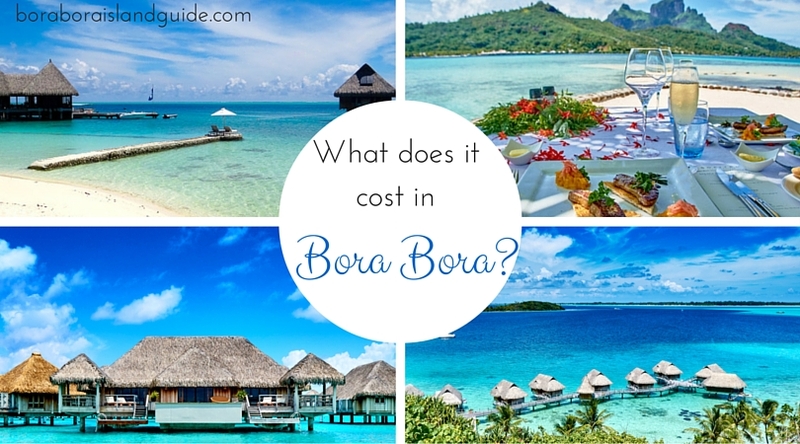 If you are wondering how much a vacation to Bora Bora costs, we have put together a guide to all the main vacation costs.